Apple needs no introduction, but given that they have so many iconic products under their belt, maybe their latest offerings do! Here’s the breakdown on the Apples of our eyes this March, featuring upgrades on already well-loved items, as well as some new gadgets to take for a spin. On March 20, Apple announced the new AirPods, the hit wireless earphones that’s been blowing up over the last few months, becoming a staple in everyone’s daily commute and even a key feature in Internet meme culture. The new AirPods are powered by the new H1 Chip, have 50% more talk time, and come with a hands-free “Hey Siri” option. The H1 Chip has custom audio architecture to elevate your audio experience and improve synchronisation. It is easier than ever now to switch from device to device, whether it be your Apple Watch, iPad or iPhone. Additionally, a wireless charging case will also be available, for even more on-the-go convenience. AirPods with standard charging case will be available for $239, and the AirPods with Wireless Charging Case will be available for $299. The standalone Wireless Charging Case will be available for $119. All items will be available to order on apple.com/sg and the Apple Store app soon, and in Apple Stores later this spring. 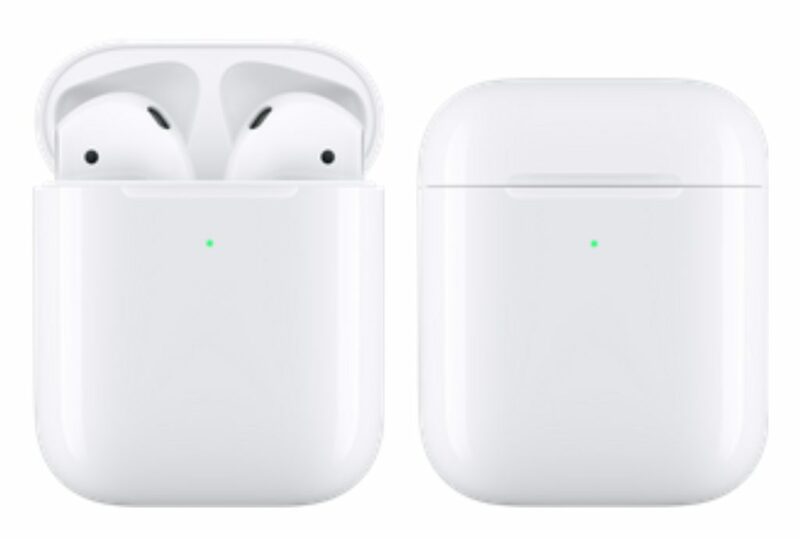 NEW: Customers can add a personal engraving to the AirPods with standard charging case and AirPods with Wireless Charging Case for free during checkout on apple.com/sg and the Apple Store app. If you’re someone who can’t live without your watch, this is for you! Apple has released a new selection of Apple Watch bands for this spring season, including Sport Bands and Sport Loops for Apple Watch, Nike+ and Hermes colours. Check out the bold colours, and never miss an appointment again! For the Hermès series, a lovely three-colour ombre will have you feeling dreamy. Rose sakura is paired with the colours craie and argile, while the bleu lin joins the colours craie and bleu du Nord to create a soft pastel mix. The gorgeous palette features on both the faces and leather bands of the single and double tour bands of the 40mm and 44mm models. It isn’t all just for aesthetics, either. The gradient is cleverly designed such that the watch face matches with the band, so when the minute hand moves it shifts along the gradient, allowing you to tell the time at a glance! The new sport bands, sport loops, leather loops and modern buckle colours are available on apple.com/sg and will be available for purchase at select Apple Stores, Apple Authorised Resellers and carriers later this month. The iMac is an absolute classic, and now, it’s been given a 2x performance boost! On 19 March, Apple leveled-up its iMac line by boosting its graphics and computer performance with 8-core Intel 9th-generation processors and powerful Vega graphics options. The iMac will run smoother and faster than before, and still retains all the qualities that make it popular: its sharp Retina® display, sleek design, quiet operation, fast storage and memory, modern connectivity and macOS® Mojave. The new 21.5-inch iMac with Retina 4K display starts at $1,899 and the new 27-inch iMac with Retina 5K display starts at $2,599. Both are available to order from apple.com/sg and the Apple Store app, and in Apple Stores and Authorised Resellers from next week. The non-Retina display iMac configuration continues to be availble for $1,598. Additional technical specifications, configure-to-order options and accessories are available online at apple.com.sg/mac. Apple won’t seem to let us catch a break with the iPads; from the looks of it, they are definitely set on sprucing up this category. First, it was the new iPad Pro models in October 2018, for creatives and working professionals. Now, they are also catering to the need for reliable daily, on-the-go gadgets. We have the iPad Air, lightweight and slim for easy travel, and the iPad Mini for those who need a compact all-in-one device. Optimised with the latest technology, these new iPad models are perfect all-day, for work or for play. Here comes the all new iPad Air, in an ultra-thin 10.5-inch design for lightweight convenience. The iPad Air comes with all the latest innovations, most notably the Apple Pencil. With the Apple Pencil, more creative and productive options are created, from bonus convenience in jotting down notes and annotating documents, all the way to digital drawing and painting. 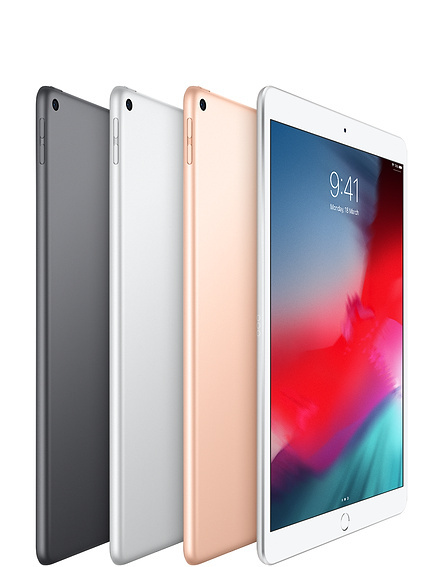 Key features of the iPad Air include the A12 Bionic chip with Apple’s Neural Engine, boosting performance and graphics capability. Its advanced Retina® display with True Tone® technology is nearly 20 percent larger with over half a million more pixels, as compared to previous iPad models. The new 7.9-inch iPad mini is small but mighty, ultra-compact and travel-friendly, yet highly capable. Similar to the iPad Air, it features a A12 Bionic Chip for optimal performance and high graphics speed. The advanced Retina display with True Tone technology and wide colour support is 25% brighter and has the highest pixel density of any iPad, for vivid visuals anywhere, anytime. The iPad mini is also compatible with the Apple Pencil so you can have all your notes in one place. The new iPad mini starts at S$599 for the Wi-Fi model and S$799 for the Wi-Fi + Cellular model and the 10.5-inch iPad Air starts at S$749 for the Wi-Fi model and S$949 for the Wi-Fi + Cellular model. The new iPad models are available for purchase from apple.com/sg, in the Apple Store® app and Apple Stores, and is also available through Apple Authorised Resellers and select carriers (prices may vary). Apple Pencil (1st generation) is available for purchase separately for S$138. The Smart Keyboard™ for the 10.5-inch iPad Air is available for purchase separately for S$248.